Serving Sydney’s Inner West – your key to security! We travel direct to your location for personal, on-the-spot service. You only have to make a local phone call to have us arrive at your door. 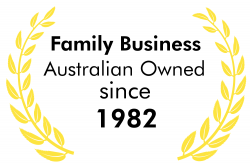 Well known family business that has been providing locksmithing services to Sydney's Inner West since 1982. Certified Locksmith, Member of the Locksmiths Guild of Australia, and a registered Master Locksmith. You can trust us to provide top quality service with speed and efficiency.